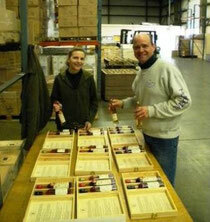 The 2010 Collector’s Edition of Heavenly Spirits’ French Essentials is here. 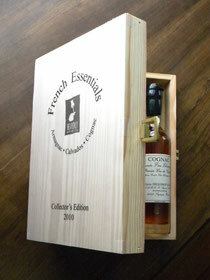 The gift set includes outstanding examples of award winning spirits from the three main Brandy producing regions in France; Armagnac, Calvados and Cognac. This is the first time these great spirits have ever been assembled in one package.We hope that in the spirit of giving and sharing it will become an annual tradition for us and for those of you who are equally passionate about the art of fine distillation. Happy Holidays!! !